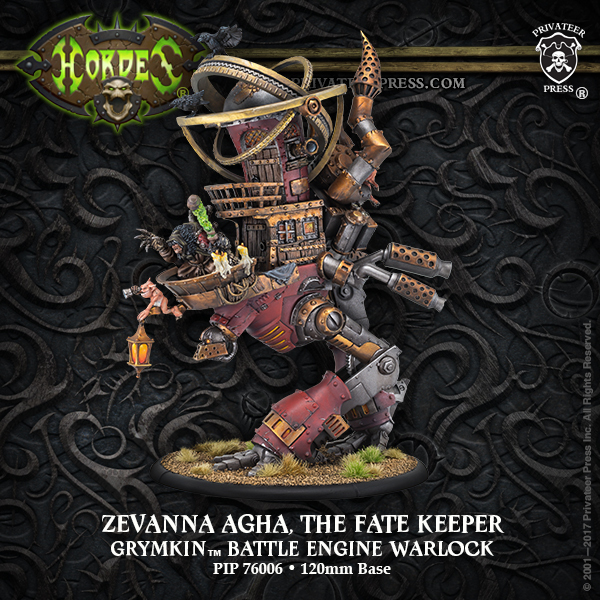 Having released the godlike Defiers from Urcaen to suit her own ends, Zevanna Agha has many plans in motion. 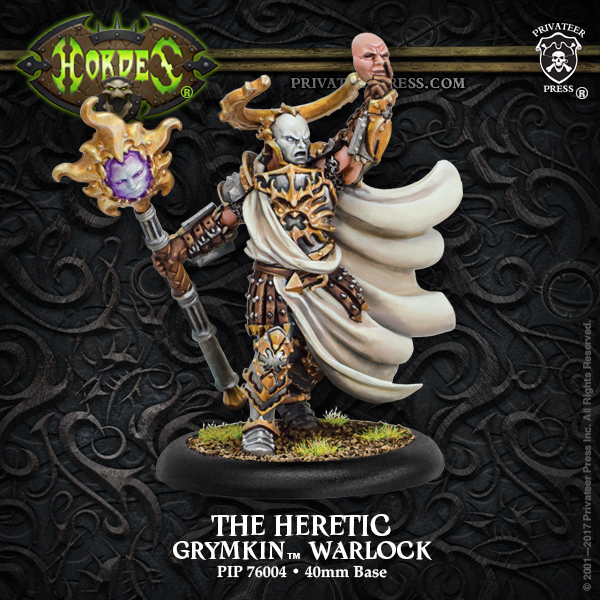 Only time will reveal her true goals, but for now she is content to join in the chaos the grymkin bring. Her hope is that those fated for greatness will be strengthened by the crucible of the Wicked Harvest and that the Defiers will aid in forestalling an otherwise imminent doom. Mad caps are particularly volatile imps that congregate around a portable still. 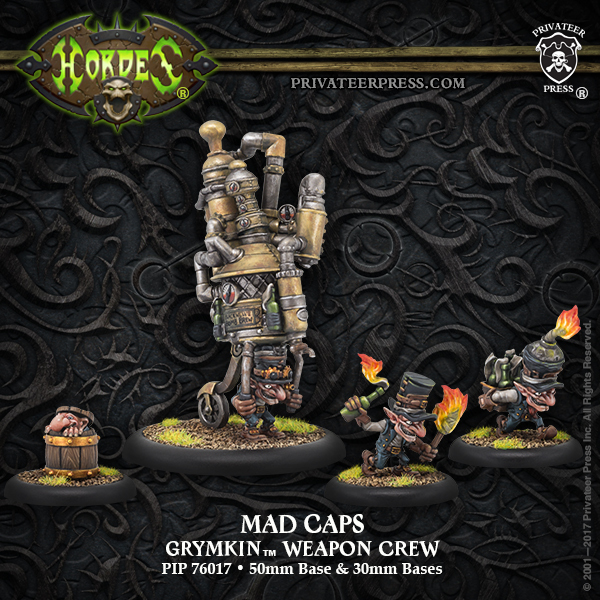 These hedonistic grymkin gleefully hurl volatile bottles of flammable moonshine at anyone foolish enough to wander near their raucous merriment. Unfortunates who quaff the liquor from their still are quickly transformed into speedy and unstable cask imps. 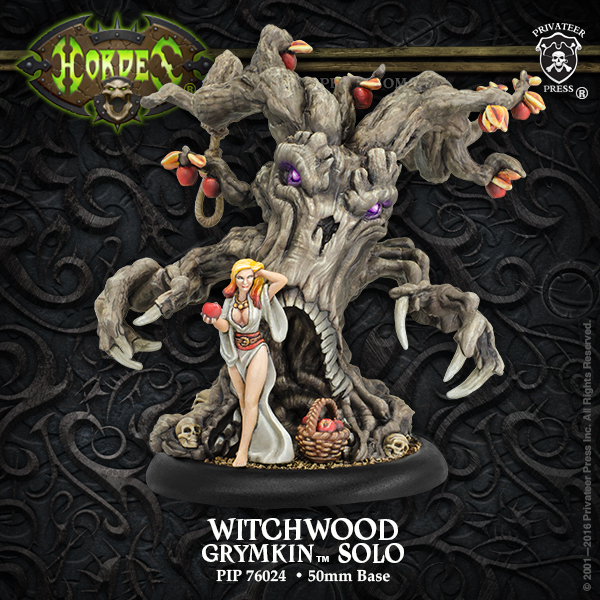 Bound together as a witchwood, the woman and the ancient timber seduce victims with lilting song and fruits freely given, turning stouthearted allies against one another in jealousy. Any who take axe or torch to a witchwood soon find how easily their flesh tears in the tree’s gnarled grasp. 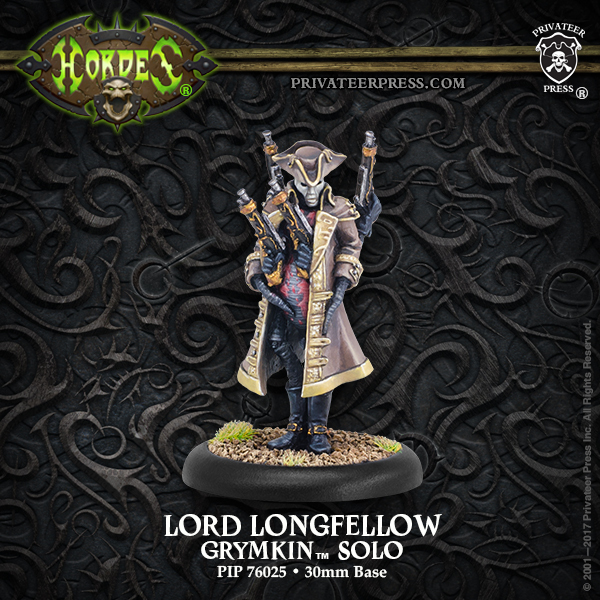 To all the wastrel nobles in the Iron Kingdoms, Lord Longfellow is a terrifying specter. With stunning accuracy, this arachnoid gentleman guns down those audacious enough to hold themselves in higher regard than their fellows, serving as a not-so-gentle reminder of one’s place in the world. The Fire & The Forge, a cutting-edge introduction to the plot of WARMACHINE and HORDES from the very beginning, penned by lead writer Doug Seacat. Demonhead Pass, the first of a series of new narrative scenarios for the new upcoming game Company of Iron. Know your army. Know your enemy. 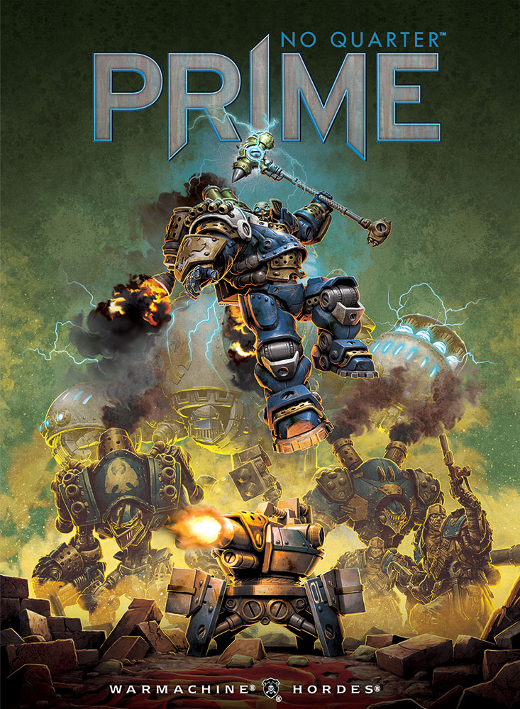 No Quarter Prime..